Tag Archives: When is Hajj? Note: The dates above have been confirmed by the authorities in Saudi Arabia (see here). So how does the actuality above compare to calculations. Good question, below are the calculated phases of the moon for Mecca. Furthermore the Islamic (Hijri) date for 18-Sept-2014, was confirmed on the official Ministry of Hajj Portal to correspond to 23-(Dhul-Qa’dah)-1435. 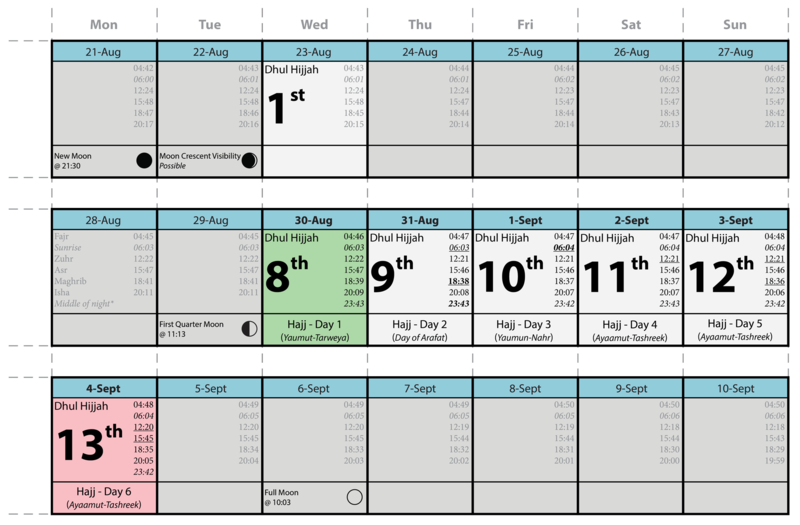 So marking this on the calendar below and if the new moon is sighted in Mecca on Wednesday 24-Sept-2014, this will make the following day, Thursday 25-Sept-2014 the first of Dhul-Hijjah, i.e. 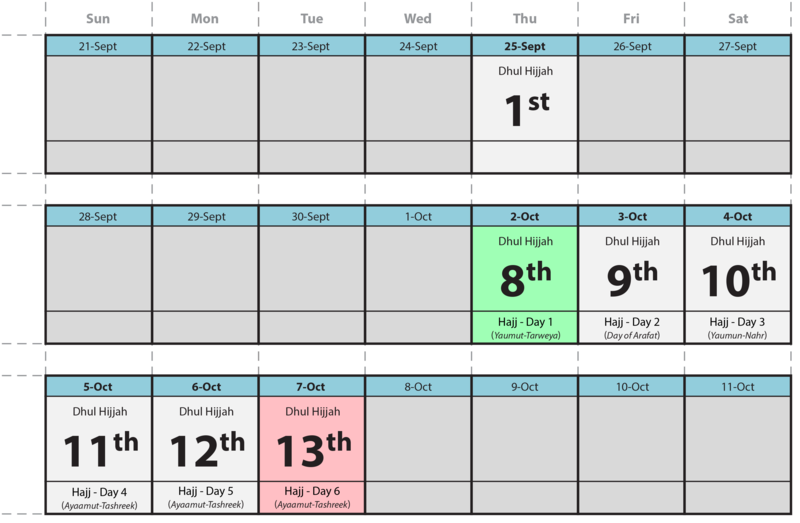 01-(Dhul-Hijjah)-1435. 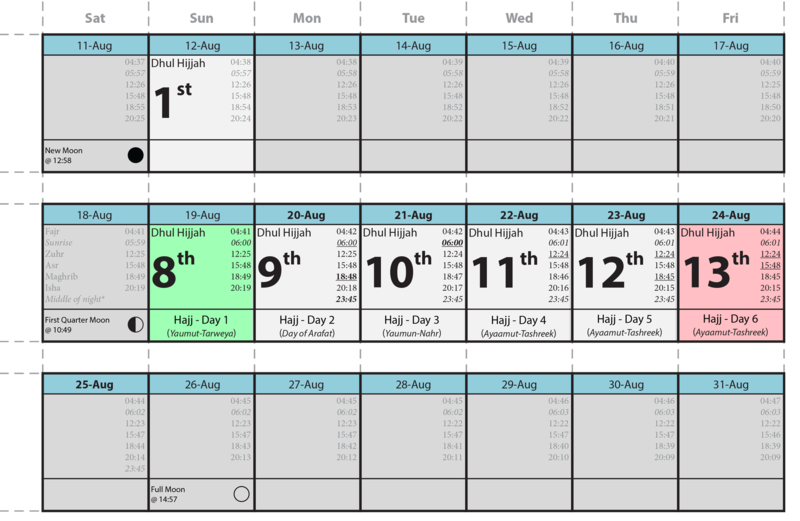 Because we know the first day of Hajj is the 8th of Dhul-Hijjah so the days for Hajj will be as above.